Okay, so I say best movie. What I probably mean is best movie that doesn’t carry a ton of baggage along with it. The kind of baggage that means you need to watch a handful of other movies to get the intended levels of appreciation for it when viewing. Which is Ironic really considering this is the sixth movie in the franchise and follows heavily from the events of the one that came before. 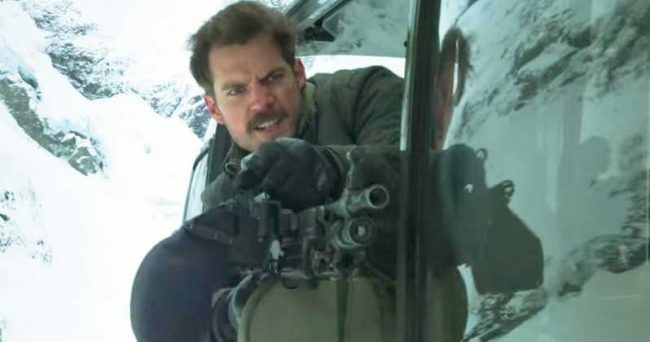 If you were to go into Mission: Impossible – Fallout completely blind, with no prior knowledge of the series, you’d still be able to appreciate it as one of the finest action movies to come out in years. Which is something I’d struggle to say about any other movie I’ve spoken about already in the past few days… Except maybe The Meg. Once again, Ethan hunt finds himself in a situation where the world is at stake and he has to find some way to do the impossible with limited resources and his own government disavowing him… again. With each new entry into this series, they manage to notch up the stakes and the action set pieces just one more time, with globetrotting, car chases, great physical stunts and fights a plenty. 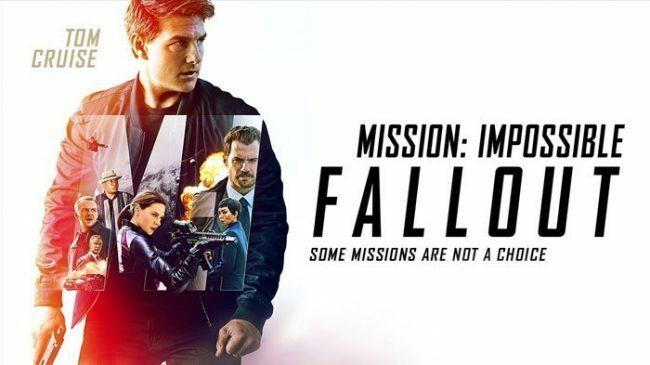 There’s something both honest and earnest about the Mission: Impossible franchise that not many other movies tend to do these days, especially with a 55 year old man still insisting on doing all of his own stunts. I love Tom Cruise, and as he has gotten older, he has leaned more and more into portraying his human vulnerabilities in his characters. Making a point to show how short he actually is, or having him reeling after being thrown from a motorcycle at the end of a car chase. It even has him take a moment to steel himself for some of the more ridiculous things he finds himself having to do, before (ironically) going on to perform these superhuman actions anyway. It’s something you don’t see from the likes of Jason Statham or Dwayne Johnson. There’s a lot more Jackie Chan to Tom Cruise these days compared to the Bruce Lee of his earlier roles. Mission: Impossible – Fallout is a movie cut from a very similar cloth as the previous two movies in the franchise, but it does what it does to an incredible standard. The action is amazing, the supporting cast is great, the tension is very real and the ending action sequence in this one is stunning to behold. It’s high action and skin of your teeth stuff that feels a lot more real than the CG heavy counterparts that we get from most other movies in the genre. And that’s my makeshift list of movies I liked in 2018. I do plan on trying to see more movies in 2019. Especially if my current moving plans don’t fall through and I can get the flat I’ve been after for the past few months. But who knows, maybe I’ll have to get something similar together next year and end up talking about how a movie that came out in 1978 was my best film of 2019. Anyway, let’s get this blog back on to more predictable tracks where I’ll probably end up talking about Dragon Ball a lot more. Posted on January 4, 2019 December 31, 2018 by WooderonPosted in 2018, Best of Year:Tagged Action, best movie, ethan hunt, henry cavill, mission impossible, mission impossible fallout, tom cruise.